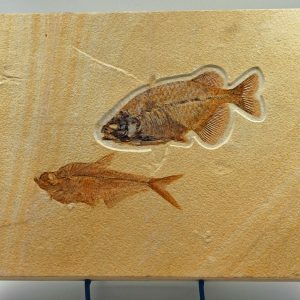 Some 58 million years ago in the Green River region of Wyoming, torrential rains formed wide, shallow lakes, home to a variety of fish. 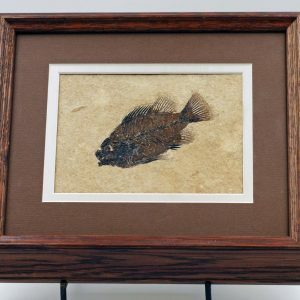 Though most of these species are now extinct, the Diplomystus and Knightia were both ancestors of the herring, the Mioplosus was a perch, and the Priscara has no modern relatives. 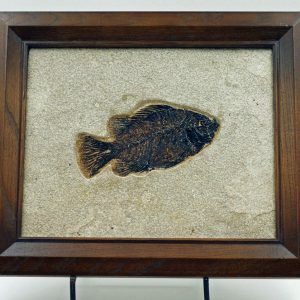 For reasons which are unclear, many of these fish met their death under catastrophic conditions. 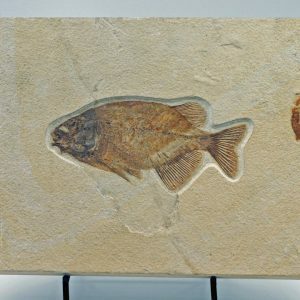 Their remains were covered by a fine deposit of calcium carbonate so gently that every delicate outline was preserved. 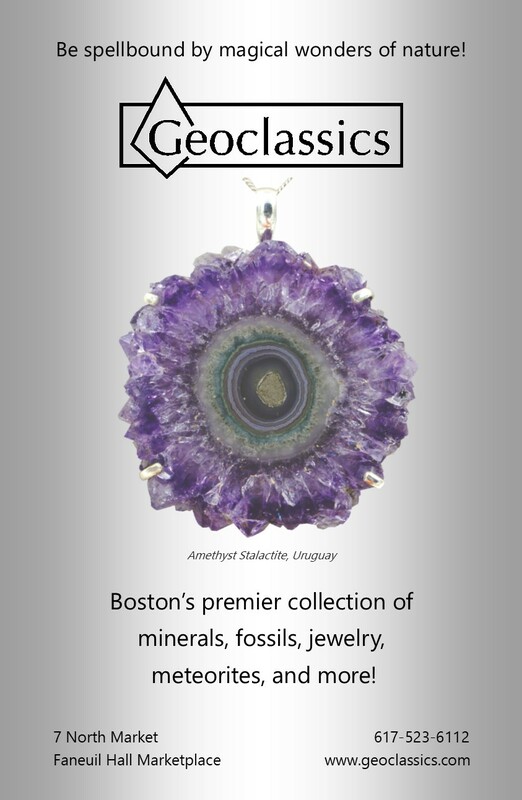 Each year this protective cover became thicker from added layers of limestone sediments and became known as Green River Shale. 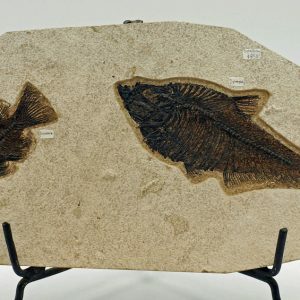 It took many years for these fish to fossilize, a process by which the original bones, skin, and scales were replaced, molecule by molecule, with the minerals in the sediment that buried them. 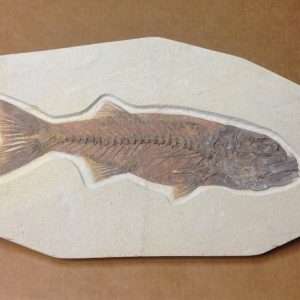 Gar and Knightia – Fossil Fish Plate – Amazing!! !